Is it a case of double-talk on taxes? As lawmakers vote on the deal President Obama worked out with Republican leaders, we'll contrast his campaign statements on taxes for the wealthy with the deal he cut now. We'll also play you clips of John McCain.. back when he thought tax cuts for the wealthy.. were just plain wrong. Keeping them honest. 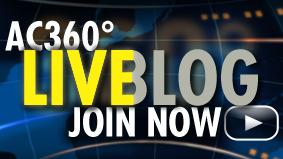 Plus, breaking news, the death of America's top diplomatic troubleshooter in Afghanistan and Pakistan. Richard Holbrooke, noted diplomat, is dead at 69. 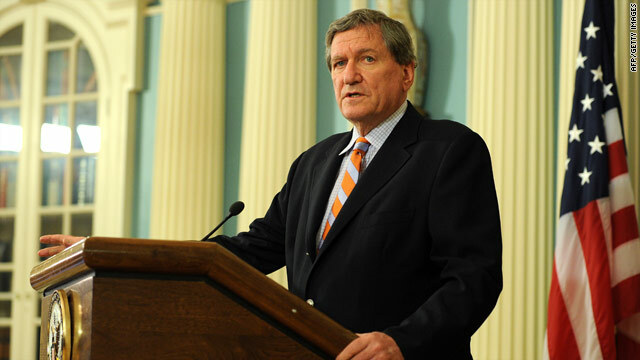 We have breaking news tonight on the death of Richard Holbrooke. The 69-year-old diplomat died at a Washington hospital after surgery to repair a tear in his aorta. Holbrooke once was described as the "hydrogen bomb" of diplomacy. He was best known for being "the chief architect of the 1995 Dayton Peace Agreement" that ended the Bosnian war - the deadly ethnic conflict in the 1990s during the breakup of Yugoslavia. Holbrooke served administrations from Lyndon Johnson to Barack Obama. Most recently he had been working on perhaps his toughest assignment - helping tackle the problems in Afghanistan and Pakistan. Tonight on 360°, we’ll look back on his diplomatic career with Senior Political Analyst David Gergen, who worked with Holbrooke in the Clinton White House. We’re also tracking the war of words in Washington over tax cuts, where there are a lot of accusations of doubletalk and betrayal. The Senate voted today 83-15 to move the deal Pres. Obama made last week with Republicans to a final vote perhaps tomorrow. The measure would extend Bush-era tax cuts for another two years, fund unemployment benefits for another 13 months and lower the payroll tax for one year in hopes of boosting the economy. Also under the deal, the estate tax would return at a lower top rate of 35% with a $5 million exemption - instead of a top rate of 55% with a $1 million exemption. The package would add $893 billion to the federal deficit over five years, according to the Congressional Budget Office. "I recognize that folks on both sides of the political spectrum are unhappy with certain parts of the package, and I understand those concerns, I share some of them, but that's the nature of compromise," said Pres. Obama at the White House. Interestingly, he never used the words "Bush-era tax cuts" in his statement today to reporters. But, for months he was against extending them. Then he made the deal with Republicans. As for the GOP, Sen. John McCain has also changed his tune on tax cuts. We'll dig into all of this tonight on the program. And, we're throwing a penalty flag on the bad sportsmanship at yesterday's Jets-Dolphins football game. A coach is getting added to our 'Ridiculist' for his ugly conduct on the field. Join us for these stories and much more at 10 p.m. ET on CNN. See you then. Final Senate approval could come as early as Tuesday. Washington (CNN) - The hotly contested tax deal reached by President Barack Obama and Republican leaders on Capitol Hill cleared a key procedural hurdle Monday as at least 60 senators voted to end debate on the measure, according to an unofficial CNN count. An official final tally was not immediately declared in order to allow voting to continue for senators delayed by winter weather. "Americans aren't interested in scapegoats," said Senate Minority Leader Mitch McConnell, R-Kentucky. "They're interested in regaining our prosperity. ... And with this bipartisan compromise, we're finally giving these people a voice in this debate." 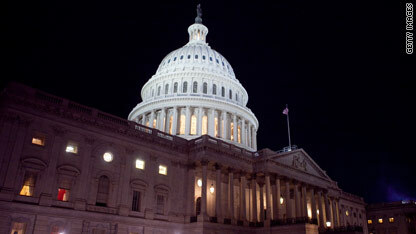 Disgruntled House Democrats, however, may try to change the deal, one of their leaders warned prior to the vote. "What form the bill comes to the floor in is something that's under discussion and debate," said Rep. Chris Van Hollen of Maryland, head of the Democratic Congressional Campaign Committee. The Senate "will have an opportunity to work its will, but there will be ... discussions as to the form it takes when it arrives" for the House vote. 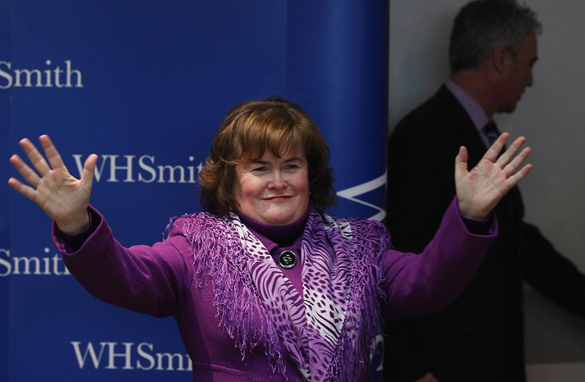 "Jack Black dresses up as Susan Boyle; and tries to sneak into the next 'So you think you can sing' audition." "Susan has second thoughts after signing an endorsement deal with Crayola." (CNN) - A Virginia federal judge on Monday found a key part of President Barack Obama's sweeping health care reform law unconstitutional, setting the stage for a protracted legal struggle likely to wind up in the Supreme Court. U.S. District Judge Henry Hudson struck down the "individual mandate" requiring most Americans to purchase health insurance by 2014. The Justice Department is expected to challenge the judge's findings in a federal appeals court. Hudson's opinion contradicts other court rulings finding the mandate constitutionally permissible. "An individual's personal decision to purchase - or decline purchase - (of) health insurance from a private provider is beyond the historical reach of the U.S. Constitution," Hudson wrote. "No specifically constitutional authority exists to mandate the purchase of health insurance." "Despite the laudable intentions of Congress in enacting a comprehensive and transformative health care regime, the legislative process must still operate within constitutional bounds," Hudson added. "Salutatory goals and creative drafting have never been sufficient to offset an absence of enumerated powers." A federal judge in Virginia ruled in favor of the administration earlier this month over the purchase requirement issue, mirroring conclusions reached by a judge in Michigan back in October. Reporter's Note: President Obama and I were about twenty feet from each other last night, which I am sure was a thrill for him. Ha! Here’s today’s letter. So nice seeing you and the family at the Christmas in Washington concert last night. I noticed you and your older daughter bopping along with Matthew Morrison as he sang “Mele Kalikimaka.” You reminded me of our family, especially since my younger daughter and I were bopping along four rows behind you. It was really nice. (Btw, have you noticed how popular ukuleles seem to be these days?) Ellen DeGeneres did a very nice job hosting, and although I know you had to leave immediately, did you at least get one of those little snowman-crunchy-candy things on a stick? Delicious! This morning, however, I thought I might be paying for the fun by catching some sort of flu. I had hopped in my car headed to work, and I felt as if I were on fire - sweat beading on my forehead, my face flushing hot, lips dry. Then I noticed that my wife and/or daughter had cranked the heat up as high as it will go on the ride home last night. I could have smelted ore in there. A little adjustment and everything now seems fine. Of course now it is back to work time. I don’t know how it is for you, but it seems as if elves were in my office just heaving projects onto my desk all weekend. My understanding from fairy tales as a child is that those little goblins at night are supposed to come in and get your work done, not add to it. Oh well. That said, even in this season of giving and getting gifts, I still like a reasonably healthy dose of work; because, and I know this is a bit of heresy at the moment, I think happiness does not come from wants easily fulfilled, but from work well done. That’s it. One of the pernicious sources of unhappiness in our nation right now, I suspect, is that too many of us over the past couple of decades grew too accustomed to an economy that was kind of like a magic genie; you want something, you wish for it, pull out the credit card, blink your eyes…and there it is! 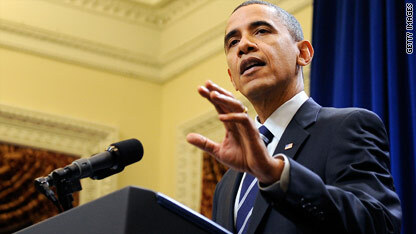 A senior White House adviser says it is time to move forward with the compromise. Washington (CNN) - Senators are expected to open debate on the tax compromise reached by President Barack Obama and Republicans Monday, but House Democrats will likely try to change the deal, one of their leaders said. "What form the bill comes to the floor in is something that's under discussion and debate," Van Hollen said, later adding that the House "will have an opportunity to work its will, but there will be, as I say, discussions as to the form it takes when it arrives for that vote." The Senate will be the first to consider the tax package, which would extend tax cuts from the Bush era for another two years while also funding unemployment benefits for another 13 months and enacting a one-year payroll tax reduction intended to bolster a sluggish recovery from the economic downturn. Palin spoke at a brief press conference at a warehouse owned by the Samaritan's Purse organization north of Port-au-Prince. "(I) don't want Americans to forget the need that is here," she said. "More importantly, for Americans and people across the world to know what an individual can do to make a difference, to contribute, to kind of get out of your comfort zone and volunteer to help." Palin praised Samaritan's Purse for "doing God's work." Samaritan's Purse describes itself on its website as "a nondenominational evangelical Christian organization providing spiritual and physical aid to hurting people around the world." Palin said she would not take questions from reporters. "The reason I won't be answering questions is because we don't need to be getting political here today," Palin said. The former Republican vice-presidential nominee thanked her husband and daughter Bristol for joining her on the trip and said she hopes Bristol could help raise awareness of Haiti's needs among young people. As she was whisked off the makeshift stage to her waiting car, Palin answered one question from CNN's Gary Tuchman, who asked what was different from what she expected to find in Haiti. "Much harsher than I had expected, the conditions are much rougher," Palin replied. Palin is widely thought to be considering a run for president in 2012. (CNN) - A man accused of killing his new bride on a honeymoon scuba dive in Australia has been returned to Alabama, the Jefferson County Sheriff's Office said. David Gabriel "Gabe" Watson was being held at the county jail Tuesday morning, Sgt. Gregory Fitts said. Australian media dubbed Watson "The Honeymoon Killer" after his 26-year-old wife, Tina, died in October 22, 2003 while the two were diving at a historic shipwreck off the Great Barrier Reef. The incident occurred about 9,000 miles (14,500 km) from Birmingham, Alabama, where the couple had married 11 days earlier. Watson returned to the United States after his wife's death and, five years later, remarried. In that same year, 2008, he pleaded guilty in Australia to criminally negligent manslaughter. He finished his sentence there in early November and was subsequently held in immigration detention. Then, in late November, Watson was arrested in Los Angeles, California, after a grand jury in Alabama indicted Watson on two counts - murder for pecuniary gain and kidnapping where a felony occurred - according to Donald Valeska, an assistant attorney general for Alabama. Those charges are based on the premise that Watson hatched the plot to kill his wife while in Alabama. It was not clear under exactly what circumstances Watson traveled from Australia to the United States.